This book picks up where its predecessor, Somalia between Jihad and Restoration, left off, examining international efforts to stabilize war-torn Somalia. 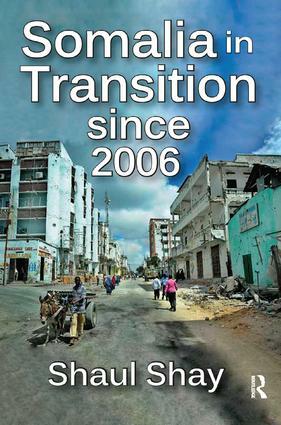 It analyzes major political events in Somalia in the years since 2006, examining opportunities for restoration of the country based on the United Nations-backed plan known as the "Roadmap for the End of the Transition," improved security conditions, and international economics and financial support. The author notes that the time of transition may be over, according to the timetable of the United Nations, but it is clear that the work of transformation is just beginning. In considering whether political and social chaos in Somalia is ending, Shay sees two possible futures. One possibility is the establishment of a reform government that unifies Somali society; another is continued strife that accelerates Somalia's descent into the endless violence of a failed state. Shay believes the international approach to Somalia requires a thorough reassessment. He argues it has been limited to two Western priorities-terrorism and piracy-while largely ignoring domestic issues of critical concern to Somalis. As a result, many Somalis have come to view those participating in the international effort as a foreign occupation.